When you are working on a film or a video, you know that you have to arrange the shots in the order of the script. Unless you have a clear idea of the shots and the order in which they are supposed to be organised, you cannot progress with your work. This is where a shot list comes in. 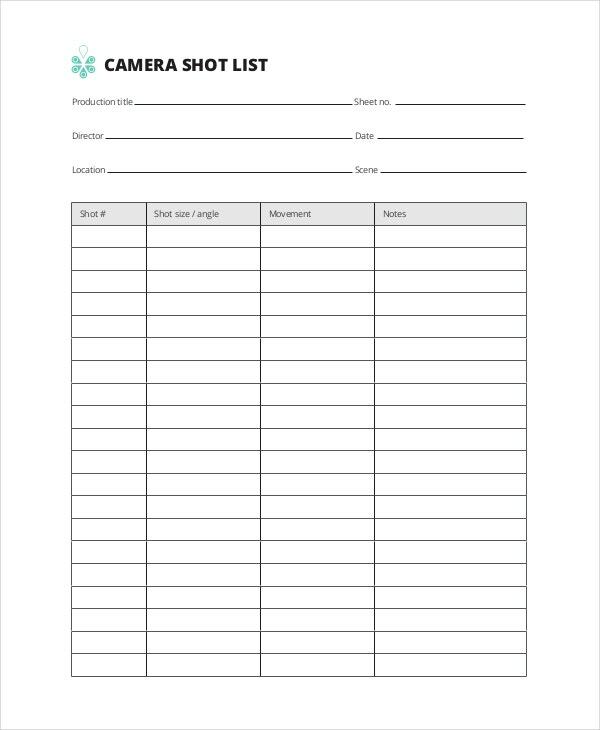 The next time you have to make a shot list, you can take a look at the shot list templates that have been provided in this section.You can also check List Templates. 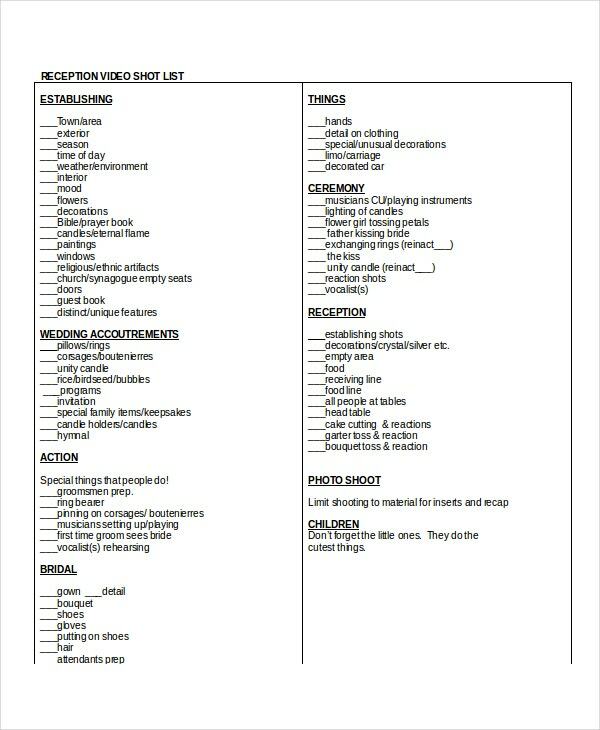 If you are working on a film, then you are going to need a shot list for sure. 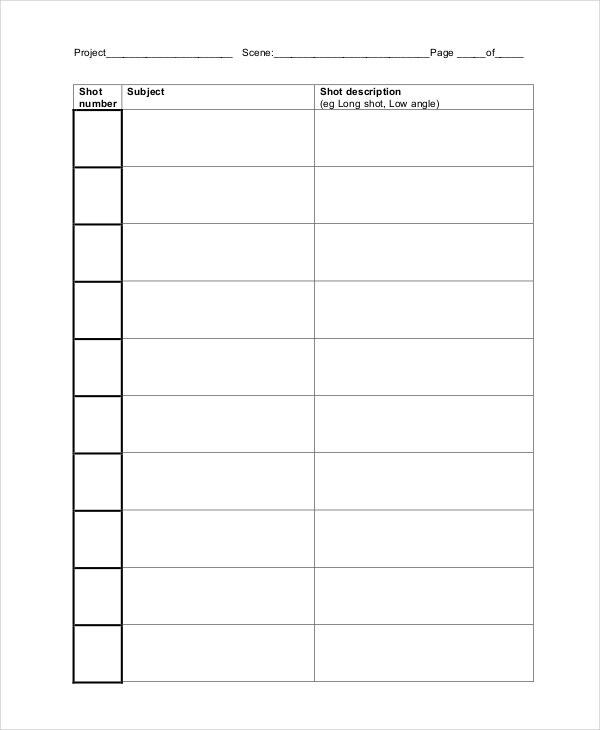 To make sure you don’t have to waste too much time on it, you can use this shot list template here. If you are working as a professional photographer, then you will need to have a list of all your shots for your own benefit. 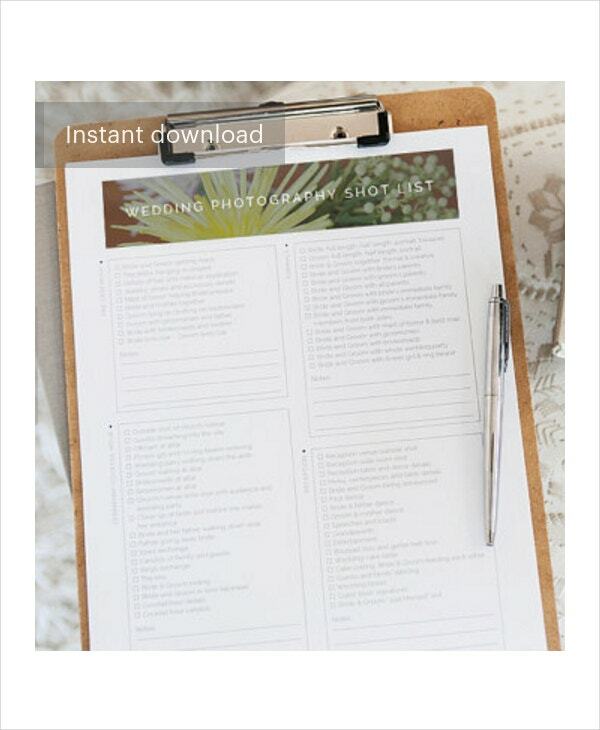 You can do that with the help of this photography shot list template. 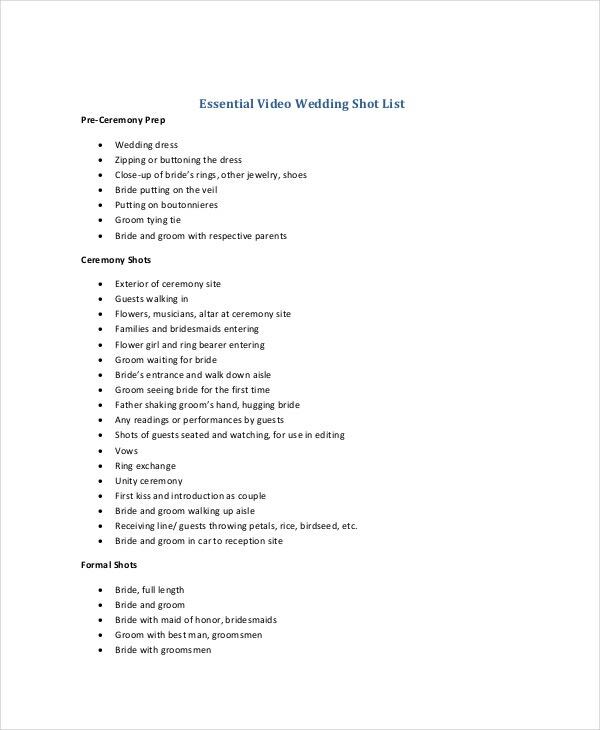 In wedding videos, how you organize the shots is of utmost importance. 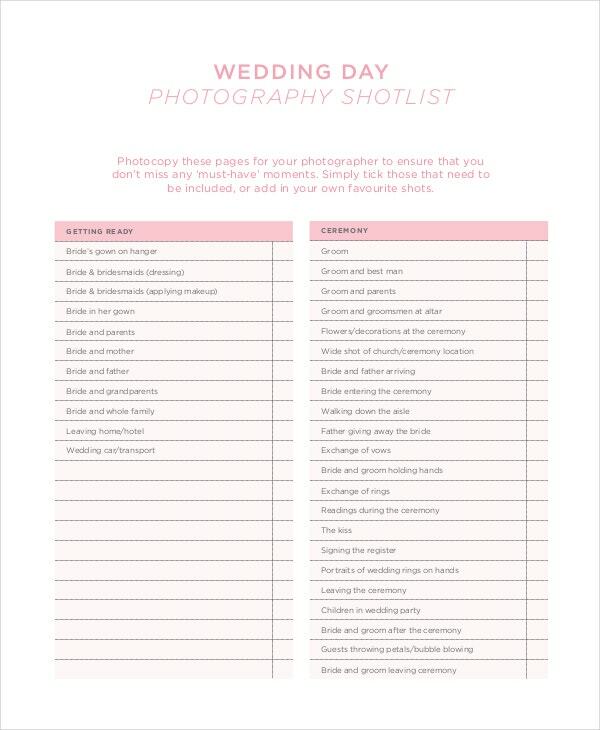 That is why you should use this wedding shot list template that has been developed specifically for the purpose. > How can you Use the Shot List Templates? If you are working on a film or any kind of video, you must already have planned a series of shots. You must have planned the order in which you want them in the final cut and in what order you want to shoot them. Based on this order, you need to come up with a shot list. 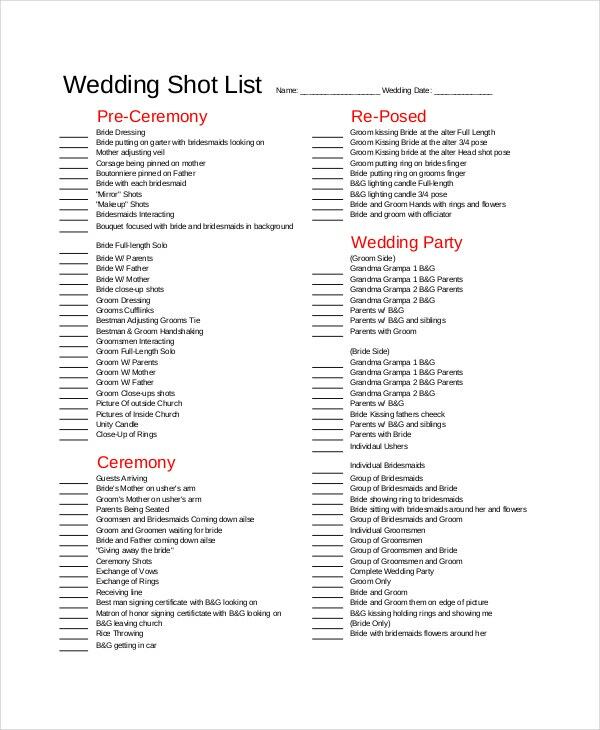 However, you do not have to go through all that trouble as you can simply use the shot list templates. The basic format of all shot lists remains more or less the same. Only a few minute details are to be changed based on the kind of video you are working on. 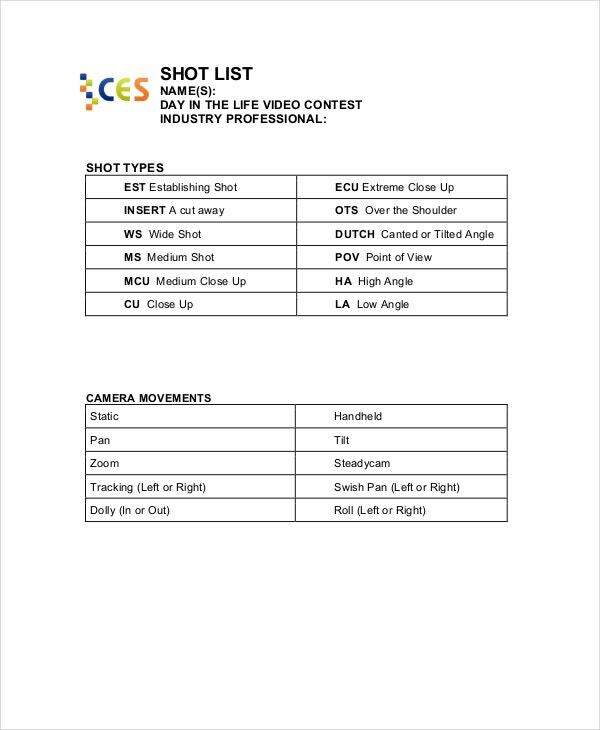 A shot list would make your filmmaking seem like a piece of cake. Once you have a clear idea of what your shots are supposed to be and how they are supposed to be arranged and in which order, you can proceed in an organized fashion. 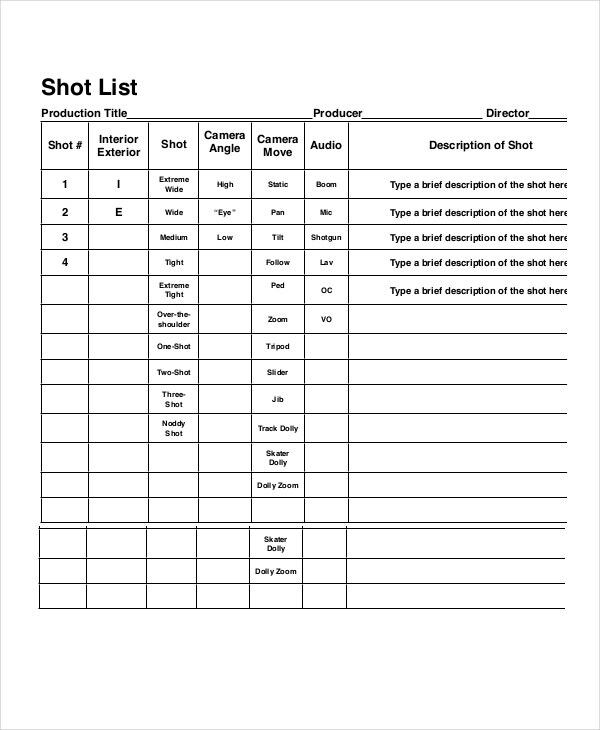 The shot list templates here are pretty easy to use. You can download the template here and then edit and print it. You can then circulate the shot list among the rest of your crew members so that everyone has a copy. 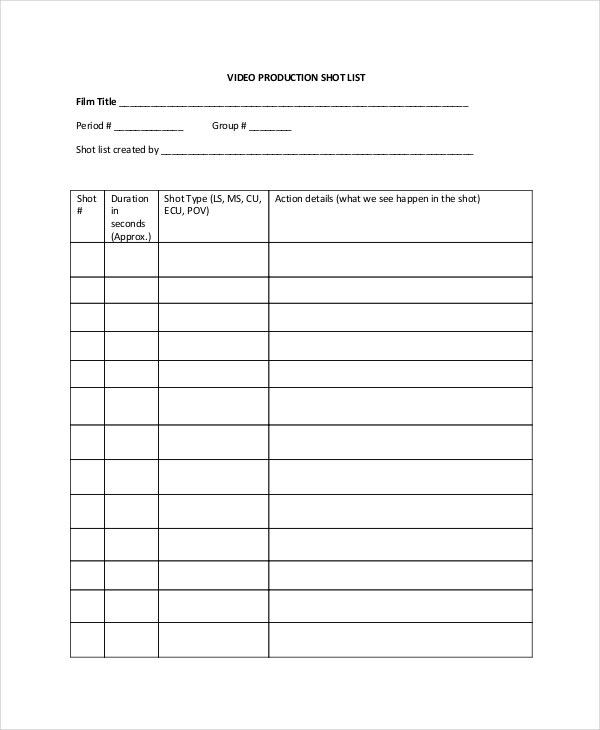 There are several kinds of templates here related to filmmaking – like film shooting schedule templates. All these templates have been dedicated to filmmakers (both professional and amateur) and those who love experimenting with videos. The storyboard templates are also going to be pretty useful for you. 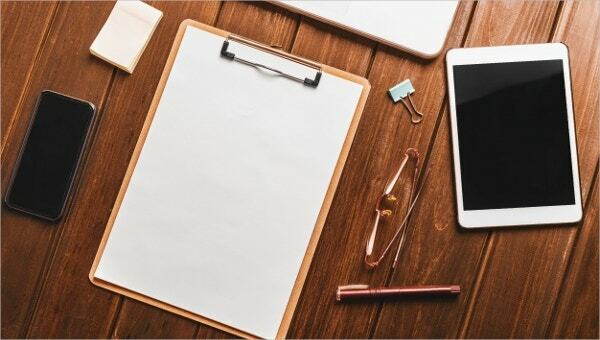 To Do List Template – 13+ Free Sample, Example, Format Download!